This is truly an encyclopedic work including sleight of hand manipulation with cigarettes as well as all gimmicks, all explained with more than 300 photos. Pretty much everything that is to know about this subject is included in this ebook. 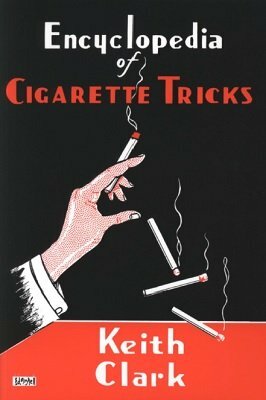 Produce lit cigarettes endlessly, crush a burning cigarette in your hand and have it vanish and a lot more. 1st edition 1937, 1st digital edition 2016 (based on 3rd enlarged edition), 239 pages. This is a phenomenal book with great forgotten sleights which can be used for cigarettes, naturally, but also for Penknives, Memory sticks ... and creating new routines that have never be seen before. Instead of working at performing the latest variant of a trick that killed you at a magic club, get this book, change the prop and be the one that fries others at the magic club or private party.